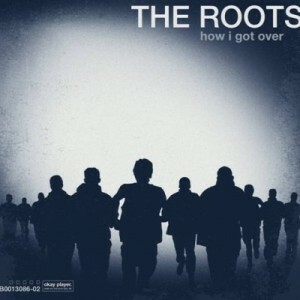 How I Got Over, the ninth studio release by Philadelphia-based rap band The Roots, clocks in as their shortest record to date at around 42.5 minutes, but still manages to convey a deep and serious message. The Roots may be the most popular rap band of all time, garnering a massive fan base as the house band for the “Late Night Show with Jimmy Fallon,” but How I Got Over is filled with tales of perseverance, struggle, and despair. Almost every song on this record is written in a minor key, with samples and features from a number of indie artists such as Conor Oberst’s Monster of Folk and Joanna Newsom. These features on How I Got Overadd to the distinct soul, jazz, and funk vibe that fans have come to expect and adore. Despite the funky grooves and lively beats, How I Got Over is far from being a fun, upbeat record. Deep and moody vibes from the talented producers Richard Nichols, Black Thought, ?uestlove, Dice Raw, and Rick Friedrich emphasize that How I Got Over is a deep, personal affair and delves into the past, present, and future of MC Black Thought and the rest of the band. Slightly slower and with more gospel influences than past records, the style and lyricism on How I Got Overimpresses from start to finish. Named after Clara Ward’s well-known track of the same name, How I Got Overcaptures some of the quintessential gospel elements popularized by Ward, but also presents personal messages of determination, struggle, and success in modern society. Lines like “If everything is made in China, are we Chinese?” question modern society and all the drastic changes occurring in the world today while lines like “When the sky’s the limit / A second is a minute, every hour’s infinite” provide inspiration and instill hope in the listener. The record starts out gently, with a melody of simple “doo’s” and “da’s” performed by three female features before the drums kick in, building up right into the opening piano line of the second track, “Walk Alone”. This is where How I Got Over excels best: building up the tension until the beat and Black Thought’s lyricism take over. Conor Oberst’s crooning on “Dear God 2.0 (feat. Monsters Of Folk)” provides a disheartening tone, while Black Thought takes over the mic and really speaks his mind on global issues. At times, it even seems that he takes this idea a little bit too far and actually overstresses his message. Standout track “How I Got Over (feat. Dice Raw)” features a catchy hook that enthralls the listener, while still incorporating two solid verses about persevering through the difficult life in the streets. “How I Got Over” is one of the best blends of styles on the record, with an up-tempo beat blaring in the background and highlighting Black Thought and Dice Raw’s abilities to keep on beat and tell their stories. How I Got Over has its fair share of missteps over the course of the entire record. “DillaTude The Flight Of Titus” hardly does the deceased J. Dilla any justice, but rather just serves as a rather meaningless tribute and interlude. Joanna Newsom lends her vocals on “Right On (feat. Joanna Newsom, STS)”, providing an eerie hook, but the verses from Black Thought and STS fail to impress in context with the rest of the album. The album is then able to bounce right back with in-your-face track “Doin’ It Again” and standout “The Fire (feat. John Legend)”. Although the auto-tuned baby cry is a nice touch, bonus track ”Hustla (feat. STS)” proves to be one of the weaker tracks and is best actually left off the album. How I Got Over is a powerful variety of styles and sounds that mix in gracefully with “good old spitting” from Black Thought. Although the minor tones of the album effectively create a haunting, rather dreary sound, at its core, How I Got Over is an inspiring and very motivational record that traps its listeners and merits multiple listens. Listen: Azealia Banks - "NEEDSUMLUV"